“It is not my place to suggest a solution, but it is my place to stand up for human rights. I am not neutral, I am for justice, I am for human rights, and I am for non-violent peacebuilding.” - Dr. Dean Peachy, Executive Director of Global Challenge, University of Winnipeg at Israel, Palestine and International Law Symposium, September 9, 2018. In May 2018, the crisis in Gaza peaked in news coverage around the world, focusing on the violence faced by demonstrators continuing to gather and march for their right of return. 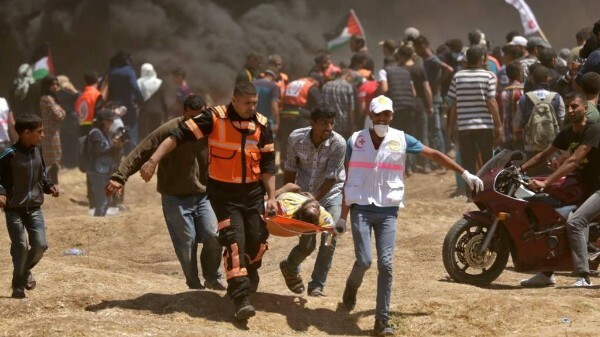 By that point, the Israeli army had killed more than 115 Palestinians and injured another 13,000, including hundreds of children, a volunteer with an MCC partner organization and a Canadian doctor. However, as the international news media shifts elsewhere, the crisis continues and remains dire. Israel regularly closes the border into Gaza, which only adds to the impacts of the blockade. Such actions prevent essential medicines, food, fuel and other resources from entering. Reports are emerging of the collapsing health sector and growing hunger, along with continued injuries and ongoing deaths of demonstrators. In the meantime, with the U.S. government’s decision in late August 2018 to discontinue all of its annual funding - $364 million – for the United Nations Relief and Works Agency for Palestinian Refugees in the Near East (UNRWA), a greater sense of despair is mounting in Gaza. UNRWA is one of Gaza’s biggest employers and continued access to schools and healthcare is up in the air. In March 2018 Canada announced an additional $10 million to support UNRWA on top of the regular $25 million contribution. In addition, in July 2018, Canada announced an additional $50 million of humanitarian and development assistance to support vulnerable Palestinians in both the West Bank and Gaza. Several European countries have also significantly increased their funding. Even so, the situation looks bleak. Please join us in continuing to raise the profile in Canada of the situation in Gaza, including great humanitarian needs and long-standing systemic oppression. Consider sending a letter to Foreign Affairs Minister Freeland and Prime Minister Trudeau. This fall, the MCC Canadian Advocacy Network, is excited to be hosting an A Cry for Home speaking tour in 4 provinces from October 21 to November 7, 2018. Detailed event information will be forthcoming by the provincial offices over the next month. 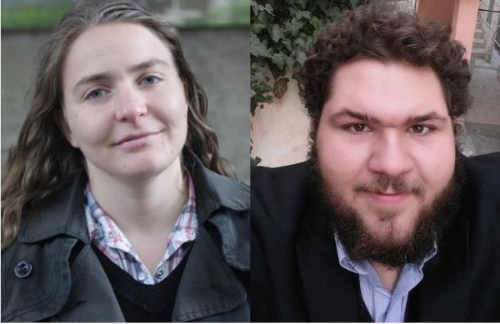 MCC has invited two young adults from Palestine and Israel to share reflections of Israel’s occupation of the Palestinian territory from both sides of the wall. Events will take place in Southern Ontario, Saskatchewan, Alberta, and Manitoba. Sahar Vardi is a Jerusalem based activist. She publicly refused her military service and was imprisoned in 2008. Since then she has been active with Israeli anti-militarist groups such as New Profile and today works as the Israel Program Coordinator for the American Friends Service Committee based in Jerusalem. Today most of her work focuses on the militarization of Israeli society, both around issues of conscription, as well as Israel's military industry and export. Much of her activism is in Jerusalem in Palestinian-led struggles against house demolitions, child arrests and discrimination of East Jerusalem. Tarek Al-Zoughbi is a Christian Palestinian American, who was raised in the little town of Bethlehem. He received a B.A. in Economics and Peace Studies from Manchester University, Indiana and returned to Bethlehem, where he currently works as the project and youth Coordinator at Wi'am: The Palestinian Conflict Transformation Center. Aside from working on an M.A. in International Cooperation and Development at Bethlehem University, Tarek also serves on the Executive Board of the National Coalition of Christian Organizations in Palestine and is currently the coalition's treasurer. He is active in civil society, part of 3 choirs, and had the privilege of being part of the World Council of Churches "12 Face of Hope Campaign". You can read more about Tarek and Wi'am's work on www.alaslah.org or on the organization's ​​Facebook page, https://www.facebook.com/wiamcenter/. Stay tuned for more event information on the MCC website here. Please select your province at the top of the page, if you would like to see local events. We encourage you to come out to the events, if they are passing by your community! In late June, a group of MPs, mostly members of the Canada-Palestine Friendship Group, published a report concerning a visit to Palestine and Israel. Between March 30-April 6, 2018, 18 MPs, representing the five parties in Parliament, travelled to the region to meet with Israeli and Palestinian officials and to learn more about the social and political challenges facing the region. This visit is a significant step for Canada, as it represents the first cross-party delegation to visit the region primarily focusing on Palestine. Participants clearly saw the systemic apparatus of occupation, especially when the delegation was denied passage through one of the many checkpoints without any explanation given. Most noteworthy in the report, however, are the three concrete recommendations to the Canadian government. The first recommendation includes the appointment of a Special Envoy to evaluate the human rights situation of Palestinian children living under occupation, with a specific focus on Israeli military law and practices, including child detention. This recommendation ties directly into the No Way to Treat a Child Campaign. Further, the report stresses a continuation of financial assistance to UNRWA and an exerted diplomatic effort to bring Israeli settlement construction to a halt in the Palestinian territory. See also the Canada talks Israel/Palestine blog for more reflection on the report. If you would like to thank the MP delegation for their participation in this trip, you can join others in sending a message of thanks here. 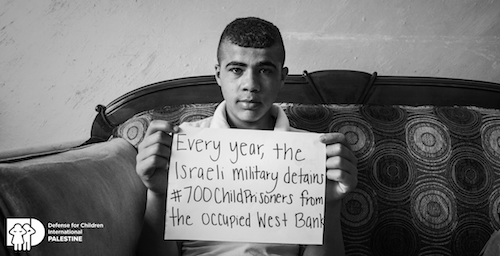 As another school year gets underway, Defence for Children International-Palestine, the organizers of the No Way to Treat a Child Campaign (NWTTAC), remind us that children belong in school, not military detention. The time is ripe to spread the word and continue your support for this part of our campaign. As mentioned earlier in this update, we are very encouraged that the report from the Canada-Palestinian Parliamentary Friendship Group’s MP trip to the region earlier in 2018 heavily featured concerns around child detention in the official report. NWTTAC Canada continues to engage with MPs, currently working on a formal letter to the Prime Minister, laying out a plan to move forward with this recommendation for monitoring and reporting on child rights and detention. Later this fall we will be circulating an action alert, calling on supporters of the NWTTAC Campaign to reach out to their MPs, encouraging them to sign onto this letter. In the meantime, please do continue to show your support for NWTTAC by signing the petition!